When it rains it pours. On the heels of Ottawa’s broker-unfriendly insurance rules comes word that National Bank will no longer sell its branded mortgages through brokers. National Bank had 2.5% share of the broker market as of last quarter, according to D+H. Brokers represented about a quarter of its mortgage production. This now leaves Scotiabank and TD as the last Big 6 banks to distribute through brokers. National will ramp up its funding of Paradigm Quest, which is a huge vote of confidence in the mortgage process outsourcing firm. 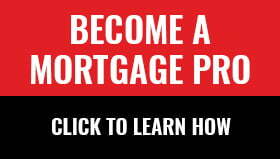 This will generate billions in new mortgage originations for PQ brands like Merix Financial. “Our goal is to fund a similar volume of mortgages in this new third-party model as we do currently,” the bank says. “It’s a natural extension of a great partnership that we’ve had for several years with National Bank,” said Kathy Gregory, President of Paradigm Quest Inc.
It’s a testament to the quality of broker-originated mortgages given the bank’s own treasury will continue standing behind them. Other “balance-sheet” broker channel lenders should immediately benefit from National’s departure, including Scotiabank, TD, B2B and Manulife Bank. We see Manulife Bank in particular as a big winner here since its Manulife One product resembles National’s All-in-One, and since Manulife is reportedly launching key balance sheet products, including a potential replacement for National’s equity-focused “net worth” mortgage. TD could also see soaring volumes if it launches its HELOC in the broker channel. B2B could also be a winner if it makes its HELOC automatically readvanceable. I believe both of these scenarios are real possibilities. And lastly, MCAP and its Fusion HELOC will see more volume, especially if it opens it up to non-top-tier brokers. No matter how you spin it, it’s never great PR for our industry when consumers hear that a bank has pulled its broker products. Brokers are reportedly losing National’s popular All-in-One, Net Worth and rental programs. We hear the bank will not be funding these products at third-party lenders. I fear that NBC will provide competitive funding mainly for vanilla fixed-rate products (hopefully I’m wrong on this.) Given NBC’s deposit-raising challenges and cruddy variable-rate pricing this year, we’re not overly optimistic about its 3rd-party floating-rate offerings. There’s no telling how long the bank will continue funding 3rd-party mortgages. Once it ramps up its online channel it may need some or all of that funding back. Some of National Bank’s branches outside of Quebec could wither. Many of them relied on brokers for the majority of their new customers (broker-originated customers were typically referred to a local branch). It’ll be interesting to hear if NBC is closing branches on its analyst conference call tomorrow. Big Investment: To thrive in the broker space, National would have had to invest tens or hundreds of millions in systems and infrastructure. Its legacy technology and workflow was simply not effective in delivering the prompt service that brokers and customers demand. Compensation: The bank paid brokers too much. When your commissions are double or triple the industry-standard on HELOCs, and 30-50% more on mortgages, what do you expect to happen to profitability? Cross-sell: Brokers don’t cross-sell National Bank’s non-mortgage products, and apparently its branches weren’t doing a bang-up job of it either. Meanwhile, Scotiabank is reportedly quite pleased with its new broker cross-sell strategy. So this factor was clearly not insurmountable. Renewals: National enjoys higher retention of customers at maturity if the customer comes to National directly. For full disclosure, my firm did over $30 million in mortgages with National Bank last year, so I know them and their service “challenges” well. But the bank always respected brokers and its top-tier management (i.e., Mark Squire), genuinely tried to deliver better rates and service to brokers, despite the tight constraints he was under from HQ. Our industry will miss National and the amazing people we’ve come to know there. It’s a stinging blow to be sure, but nowhere near as painful as FirstLine’s exit. “FirstLine took more than $13 billion right out of the marketplace,” notes Bozic. “But NBC is still actively involved in the broker space, just not through their brand.” That’s key, he says, because “Monoline support and growth is vital for mortgage brokers,” as is broker lender liquidity. As one final note to those depressed by this news. Recall that after FirstLine’s departure in July 2012, it might have seemed like the beginning of the end. Broker share of the mortgage market back then was 25%. Today, brokers own 30% of the market, five points more. Our industry has always been good at bouncing back. That can’t be overstated. And it’s worth remembering, because we’ll need every ounce of that resilience in the years ahead. Seems like the banks only want income qualifying business from the broker channel while they keep their equity programs, self employed programs and other funky stuff to their mobile sales force and branches. TD / Scotia / National Bank / Laurentian Bank (B2B) / Manulife seem to be all on the same page with this differentiation between the diffrent channels. Monolines seems pretty much useless with their series of announcements of “we don’t want anymore conventional business” earlier in the week. Not going to be an easy time to be a broker. Hey Randy, the monolines would gladly offer those so called funky programs if they had the investors and a cost efficient method to fund such programs. Also, monolines want conventional business but the problem is securing the right investors and securing an economical source of funding. I do agree that it is going to be tougher than the recent times to be a broker especially if the majority of your business is “A” business. Some brokers have diversified business models and will be just fine and may even thrive in the “B” side of the business. Just like some lenders who have diversified and are now offered third party underwriting services, funding, and servicing. This is all fine and dandy…However, since I know some really great people at National Bank, can you find all the displaced people jobs?